DENVER -- When should preschoolers, kindergartners, or first or second graders be suspended or expelled from school? State lawmakers are grappling with a bill that would limit the use of suspension or expulsion as disciplinary tools, to just a handful of circumstances. Late Thursday evening, members of the Senate Education Committee approved HB19-1194. 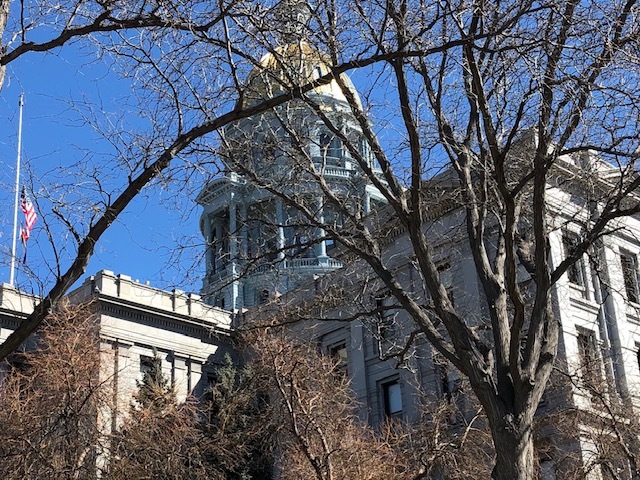 "This bill says if it's a health, safety, drug or weapon issue, it is appropriate to remove a child from school," said Bill Jaeger, of the Colorado Children's Campaign, a nonprofit research organization that works on issues affecting children. "For other behaviors, like defiance, dress code, or talking back, suspensions are not a tool that we should be using for children of this age." Jaeger said suspending young children is ineffective. "It does not change behavior," he said. "If anything, children come back to school with a negative relationship to the classroom." "The tendency is for them to struggle later on with graduation rates, with other issues around discipline in the future," said Mark Sass, of Teach Plus Colorado, an organization that helps teachers get to the table with policy makers. Sass, who is also a teacher in the Adams 12 district, says students come in with different ability levels. "There are students who have been through quite a bit of trauma in their lives," he said. "We know that students who live in poverty have that trauma, which affects the way they behave in the classroom." Jaeger told Denver7 that more than 6,000 Colorado preschool through 2nd grade kids are suspended each year. "That disproportionately impacts boys, children of color and children with disabilities," he said. "While there might be times when safety requires the removal of a child, we're worried that the use of this tool undermines the goal of having inclusive classrooms." Bob Lawhead, of the Colorado Developmental Disabilities Council, said he strongly supports the bill. "Suspensions have a disparate effect on people with disabilities," he said. "There is a much greater percentage of students with disabilities who are suspended, as compared to the number of students who are enrolled." Lawhead said many teachers and administrators don't have the tools needed to deal with behavioral issues in their classrooms. He'd like to see more of them received positive behavioral support training. "The idea here is to try to limit suspensions," he said, "and to try to build competence in educators and administrators in how to deal with issues and behavior that is non-aggressive in nature." He observed that need firsthand. "I have a son who has Down syndrome," he said. "He is now 23, but he experienced some of these same challenges. You could see the difference in one year, where you had an educator who knew what they were doing as far as dealing with these issues, and another educator who may not have had access to that kind of instruction." Jake Cousins, of Padres Unidos, an organization that works for educational equity, racial justice and immigrant rights, also supports the measure. "We believe it's a school's job to create a healthy and positive learning environment for all kids" he said. "If you're just pushing them out of the classroom, pushing them out on the street, you're not giving them a chance to learn."